French oil company Total will up to 2022 spend more than $2 billion developing Qatar's largest offshore oil field in which it now holds a 30 per cent stake, its chief executive said. Patrick Pouyanne told a news conference in Doha that the Al Shaheen field would be subject to the five-year investment programme, which starts next year, "in order to integrate technology". Total will start operating the field on 14 July, 2017, and a new company named North Oil Company will be created to manage the joint venture, Saad al Kaabi, chief executive of state-owned Qatar Petroleum (QP), said. QP will hold a 70 per cent share in the new joint venture for Al Shaheen, which currently produces around 300,000 barrels per day (bpd). Six international oil companies, including BP and Royal Dutch Shell Plc, submitted bids to operate the field on a 25-year basis. Denmark's A.P. Moller-Maersk had been operating Al Shaheen since 1992, but was unsuccessful in the tender for the new operating contract. 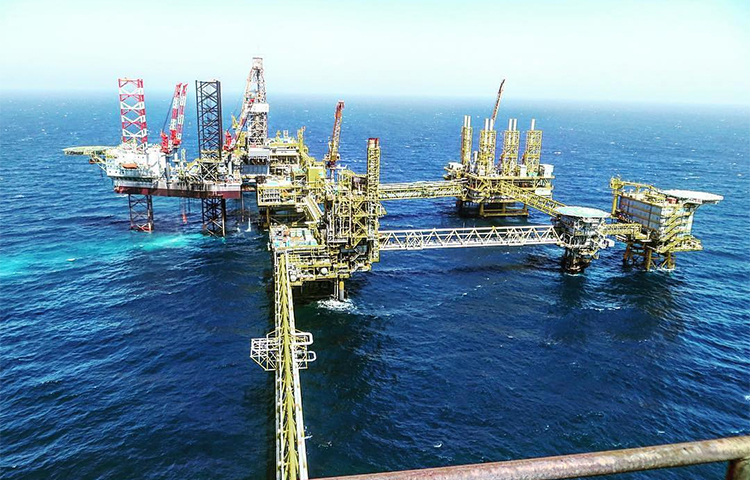 "Total was the best bidder, we are happy to see Total wins that process," Al Kaabi said. Pouyanne told reporters that the first objective was to maintain 300,000 bpd output. "Currently that's not a given as there's a natural decline (in production) as it’s a complex field," he explained. "If we have opportunities to increase production we will, there are parts of the field which have not been developed," he added. The new deal is a boost for Total, which in January last year, it became the first oil major to renew a 40-year onshore concession in the United Arab Emirates, putting its peers under pressure to improve terms after the French firm made the best offer.